A Reclaimed from the former American West Coast, John has spent the last three years on the islands performing manual labor and broadcasting in his spare time. His rhetorical skills have earned him a wide following among his fellow Reclaimed. The part of John is played by Michael Scott. 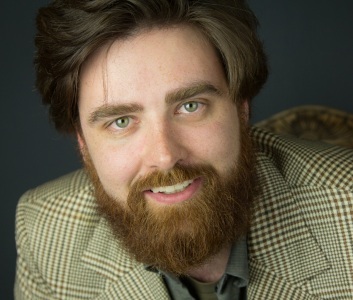 Selected works include: Templeton the Rat in Charlotte's Web (Touring Players Theatre), Jack in Defenders of Gravity (Playwrights of Spring), Wizard series regular in CowboyandSamurai.com (30th Floor Productions), and the Writer Performer of the video series A Modest Proposal (Produced in collaboration with Tim Gilbert). Michael has performed in two previous draft89 shows: as the lawyer in FOE, and as Don in Demise of Ordinary Objects.